The ability to detect carbon fiber defects including wraps, breaks and wefts in carbon fiber manufacturing is critical. If not caught in time, these defects can cause the shut down of entire lines. Additionally, carbon fiber breaks can continue into the oven and accumulate in piles that start to generate heat due to chemical reactions. The reactions generate heat that can ignite the material and shut down production for several days. With the advent of increasingly expensive and sophisticated finishes, coiled metal is an industry where surface quality is becoming more critical every day. Surprisingly, the coiled metal industry – stainless, coated or uncoated – remains highly reliant upon the human eye for inspection. 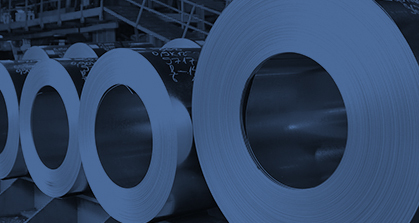 With Boulder Imaging’s inspection technology, coiled metal manufacturers have the ability to conduct 100 percent roll inspection with objective criteria and traceable results so that every shipment meets customer acceptance requirements. Speed and accuracy coexist to dramatically elevate quality assurance and customer satisfaction. Aerospace product OEMs demand absolute precision in both manufacturing and inspection of high performance parts. FAA-certified repair facilities are tasked with ensuring that parts are manufactured or repaired to certified standards and carry virtually zero defects. These highly competitive industries perform best when machining and assembly processes minimize time and (as a result) lower capital and operating costs. 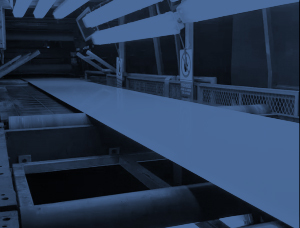 With our repeatable, accurate vision inspection technology, manufacturers limit or eliminate interruptions in their production processes, helping them maintain product quality and cost efficiencies. Boulder Imaging’s aerospace expertise spans more than 20 years. Continuous innovation has driven complete life-cycle inspection capability; this ranges from coatings inspection and metrology of individual components to performing complex high performance digital video recording of commercial jet engines on test stands. In 2015, Boulder Imaging began working with an inline pipeline inspection consultant to analyze pipeline inspection data. The ultrasonic data from pipeline inspection device is stored on board the tool and downloaded after the run for analysis. Boulder Imaging’s Vision Inspector software then processes the data to identify and classify internal corrosion and debris defects, replacing the time consuming and less accurate manual process.